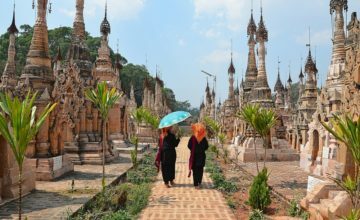 Cruise over the mighty Irrawaddy River to the starting point of biking. Ride bicycle through the scenic ways, stop en route to visit market and village at Myitche. 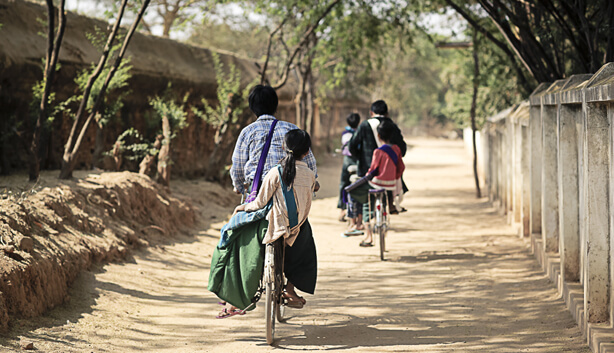 Private full day Bagan Bike Tour to Pakkoku offers visitors a chance to explore the rural areas of Bagan by bike. The relaxing time on a local boat along Irrawaddy River will help travelers understand more about water life of local people here. The road for biking is flat and mostly on sealed tarmac. There are large trees providing partial shade and very few cars on the road, only the occasional cyclist, motorbike or ox cart. 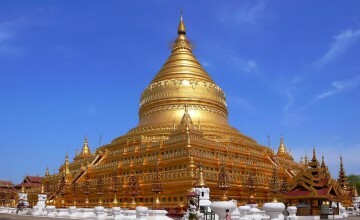 It will be a memorable for all travelers in Bagan. This morning your guide will greet you at the hotel. Transfer to the Irrawaddy River jetty where the boat is waiting (bikes and helmets will also be here). A short ferry ride takes you across the waterway to the western banks of the river, our starting point of pedaling. From here, we begin our biking journey to Myitche. We will stop for a visit at the morning market, a huge, colorful market. Nearby there is a small village where the locals weave house wares from rattan (or cane) and we will make a short stop there to see the production. Then we start riding on the road to Pakokku, a 40 kilometre ride that is flat and mostly on sealed tarmac. Depending on the time of year the locals may be planting, harvesting or processing the crops and there are plenty of chances to stop and interact with the local farmers. We will arrive in Pakokku at midday and stop for lunch in a local restaurant. After the morning’s adventure, it’s time to take a break and cruise back down the Irrawaddy River by private boat (approximately 2 hours). 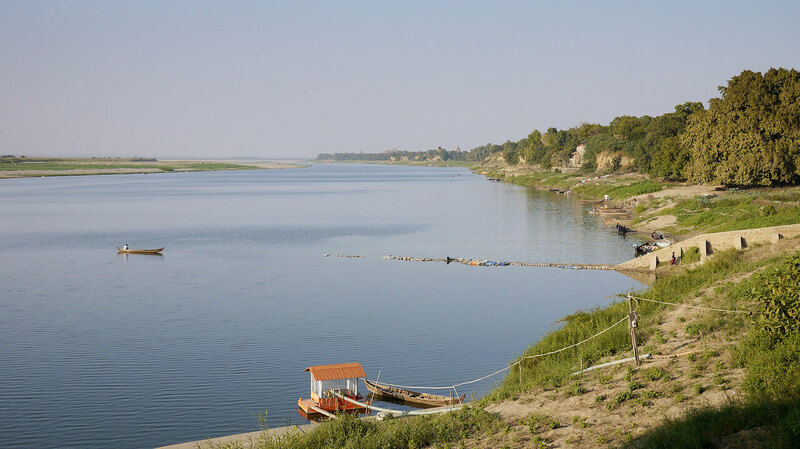 Put your feet up, relax and enjoy this scenic stretch of the river reaching Bagan where you will be transferred back to your hotel. Trip notes: Due to water levels this trip is only available from 1 September – 31 March. 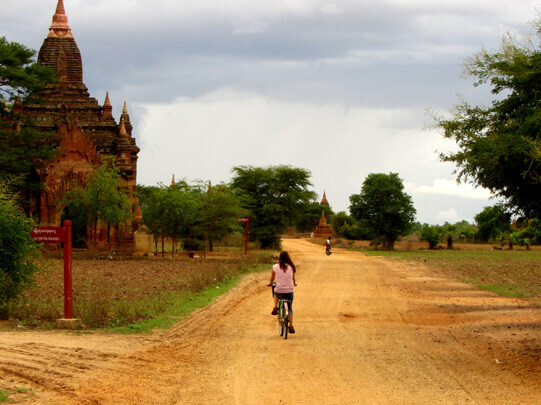 End of Bagan Bike tour to Pakkoku! 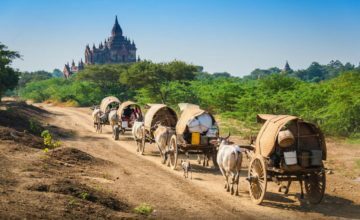 Thank you for your interest in Bagan Bike Tour to Pakkoku – Full Day. Please fill in your details below and we will contact you by phone or email within 24 hours.